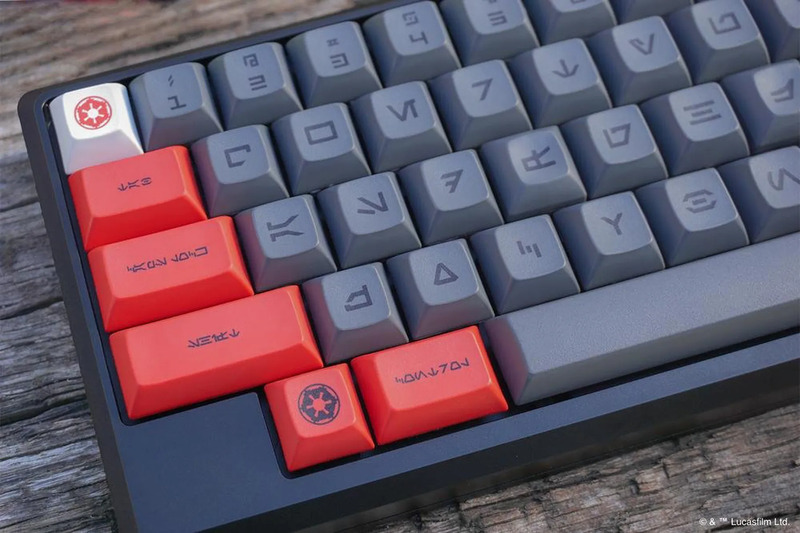 Sure, there may be unofficial Star Wars keycaps on the market today, but for those seeking an official alternative, you’ll have to shell out $250. That’s right, the Star Wars Galactic Empire DSA keycap is officially licensed by Lucasfilm, and boasts a color scheme that appears to be straight from a Death Star computer, complete with a lightsaber key. 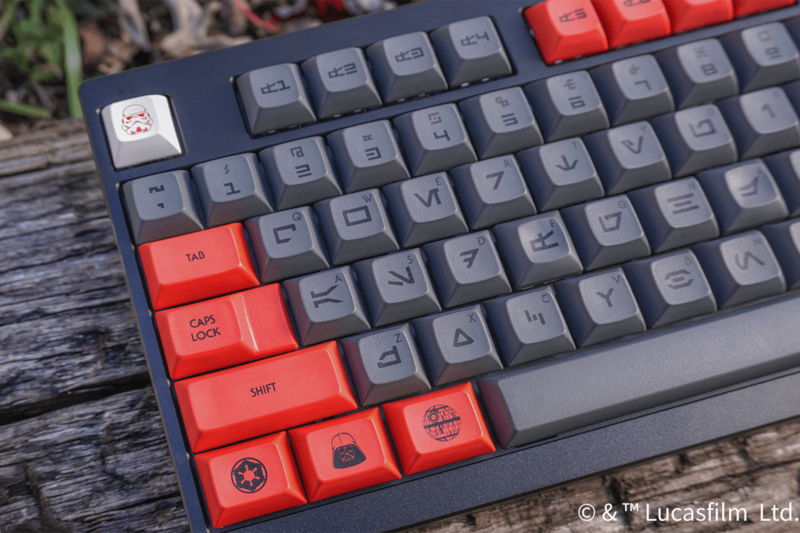 Novel Keys is offering Two two different kits – Full Aurebesh or Aurebesh with English Sublegends – and both come complete with 8 unique novelty keycaps to show your loyalty to the Empire. Read more for additional pictures and information. These aren’t cheap keycaps, as each feature dye-sublimated, wear-resistant lettering, made from PBT plastic, They’ll fit most regularly shaped boards, but for those in Europe, there are even ISO caps. What does “DSA” stand for? It refers to the keycaps’ profile of an SA keycap with retro curves, but without the height. “You’ll have until January 5th to place your order on either Novel Keys or Kono.Store. 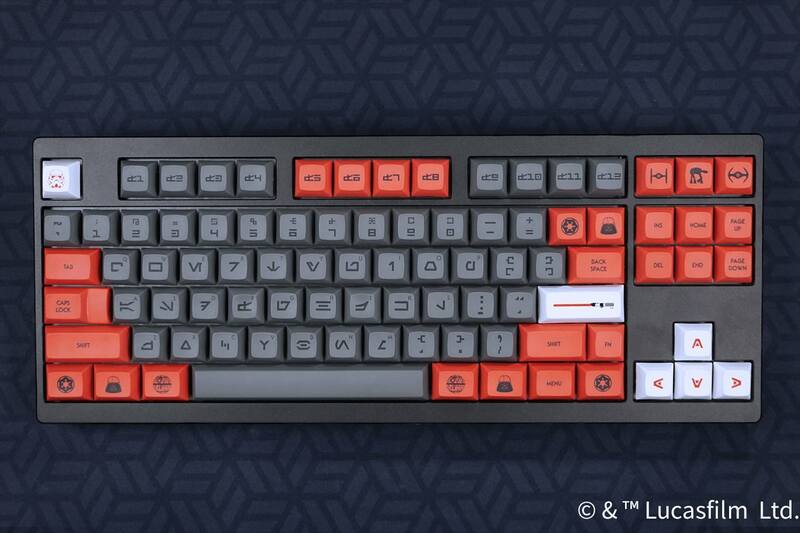 A word of warning, though: because these will essentially be made to order based on demand, you shouldn’t expect your expensive keycaps to be delivered until late April 2019 at the earliest,” reports The Verge.